Loyalty, loyalty, loyalty. Some players have it, most don’t. Today, it’s harder than ever to stick with one team for an entire career. Kobe Bryant barely did, and other players preferred early retirement over being traded away. Check out these 30 athletes who took loyalty to the next level, and no, we are not looking at you Kevin Durant. Most people know New York Giants linebacker Lawrence Taylor for the gruesome injury delivered to legendary Washington Redskins quarterback Joe Theismann’s leg on national television. 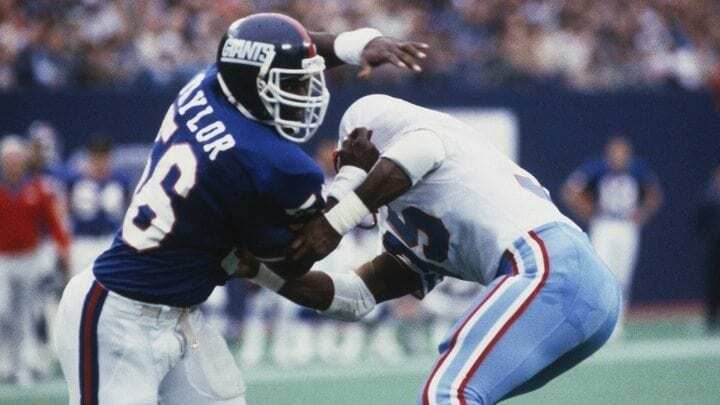 Taylor, one of the NFL’s most feared hitters, played the game with a menacing ferocity and intensity while winning two Super Bowls, earning 10 Pro Bowl nominations, and being only the second defensive player to win the NFL MVP award. Taylor’s on-field achievements as a member of the Giants’ Big Blue Wrecking Crew are astounding. His off the field record is far from perfect, however, as he has dealt with steroid allegations and has had a few not so cordial run-ins with the law. 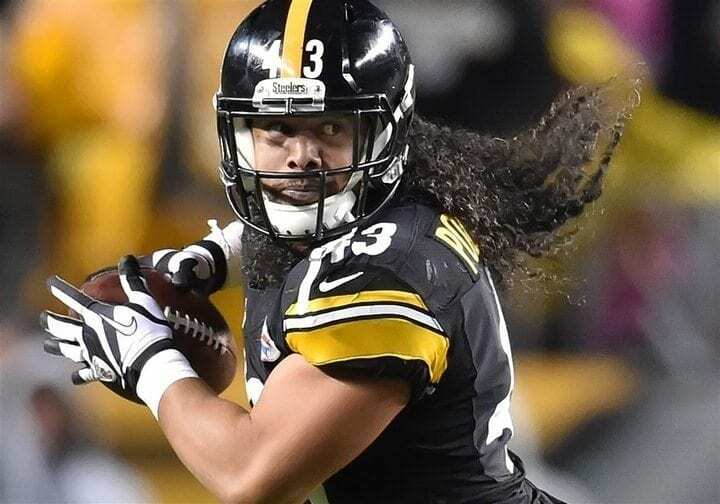 Pittsburgh Steelers’ Sultan of Steel, aka Troy Polamalu, is known for his freakish athletic ability and equally crazy long hair. Playing for the Steelers as a strong safety, Polamalu’s stature might have been small but his impact and hitting power was huge. He led his defenses to two Super Bowl victories, was selected to eight Pro Bowls, was the Defensive Player of the Year (2010), and graced the cover of Madden alongside Larry Fitzgerald. Potentially the craziest thing of all with Polamalu is his calm, friendly demeanor, something that stems from his intense religious beliefs. Todd Helton is held in the highest (hello, Colorado) esteem by Rockies fans and the organization. 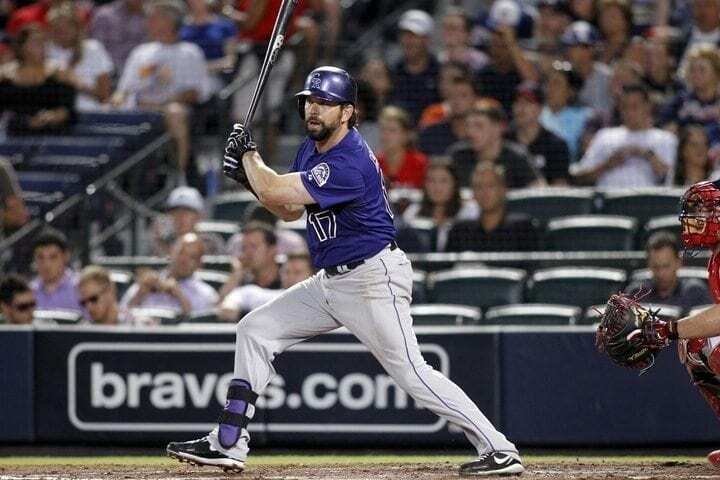 But before becoming the Rockies’ first baseman for 17 years, Helton was a dual-threat athlete at the University of Tennessee, playing on the same team as some obscure freshman named Peyton Manning. Turns out that both of those guys made the right career choices, as Helton focused on baseball while Manning stuck with football. During his time with Denver’s favorite baseball team, Helton earned himself a spot on the National League All-Star team five times, won three Gold Gloves and four Silver Sluggers, and, in 2000, won the MLB batting title. During the 2007 season, Todd and the Rockies made it to the World Series, only to fall to the Boston Red Sox in a four-game sweep. 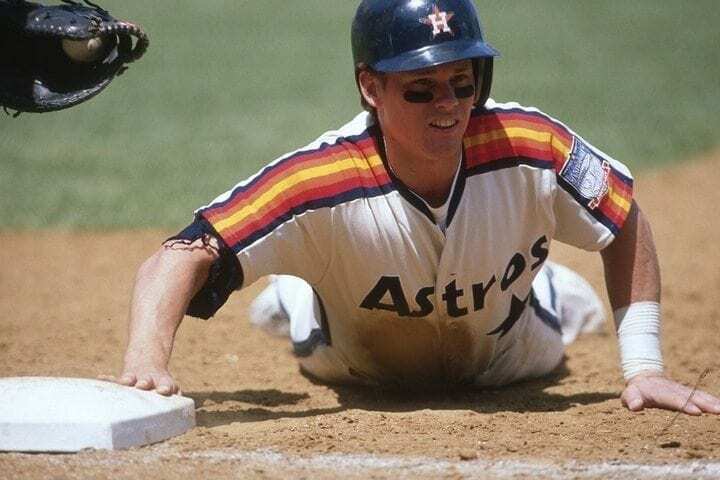 Another member of the Killer B’s alongside Jeff Bagwell and Lance Berkman, Craig Biggio was a Houston Astro for life. Biggio started his career as a catcher before moving to second base and eventually the outfield. 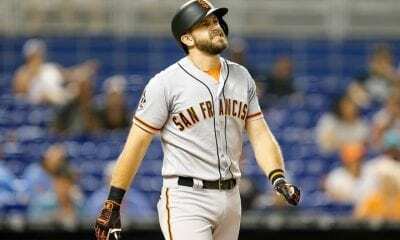 He is currently the only player in MLB history to become an All-Star at both catcher and second base. Biggio was, despite his small size, a notable power hitter and became a 5x Silver Slugger winner, a member of the 3000 hit club and a 7x All-Star. Biggio was also a deft fielder and won four Gold Gloves. Even though Biggio never did hoist Baseball’s greatest trophy, the Commissioner’s Trophy, he cemented his legacy as a star of his generation and made it to the Baseball Hall of Fame. Baseball Hall of Famer Jeff Bagwell of the Houston Astros brought life to a franchise that drew smaller crowds than the local rodeos. During Jeff’s 15 seasons playing down in H-Town, he led the Astros – alongside the aforementioned Craig Biggio – to the playoffs on six occasions, one of them culminating in the World Series. Houston, however, lost and would have to wait until 2017 to claim their first title. 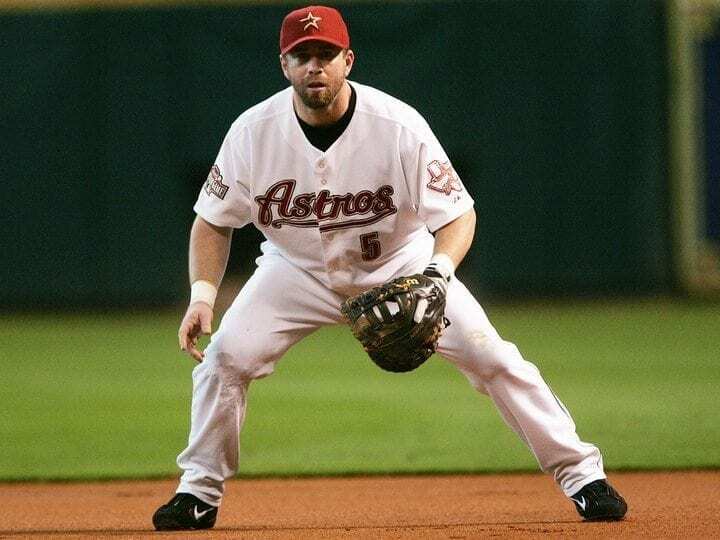 Despite never winning a title, Bagwell collected some serious hardware for himself, including the National League MVP award, four All-Star appearances, three Silver Sluggers, one Gold Glove and, in case you already forgot, a spot in Cooperstown. Bagwell retired just 51 homers short of the famed 500 home run club. Cincinnati’s very own Barry Larkin was fortunate enough to play his entire career for his home town team, the Cincinnati Reds. Throughout his tenure with the Reds, Larkin became known as one of baseball’s most dominant shortstops. Larkin was a 12x All-Star, National league MVP, 3x Gold Glove winner and, to the delight of Reds fans across the globe (are there that many Reds fans outside of Cincy? ), a 1990 World Series champion. Larkin’s signature No. 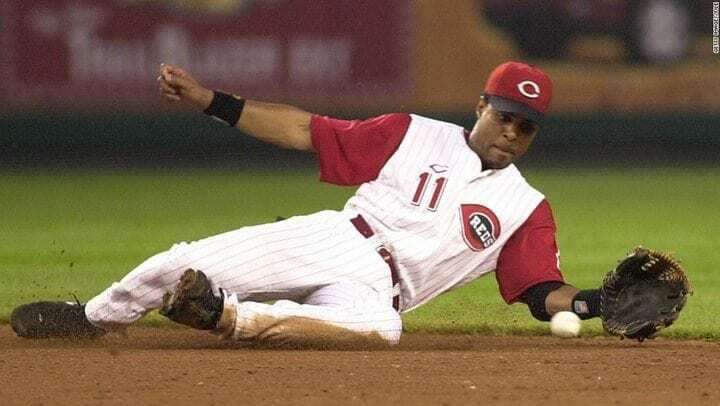 11 was retired by the Reds organization and, on his third attempt, was elected into the Baseball Hall of Fame in Cooperstown, N.Y.
Fun fact: Larkin’s son, Shane, plays in the NBA. Hines Ward playing the majority of his career at Heinz Field is a perfect fit. Being South Korean by birth makes him a unique figure in NFL history. Being a Steeler for life, a 2x Super Bowl champion, and 4x Pro Bowler makes him hated by most. 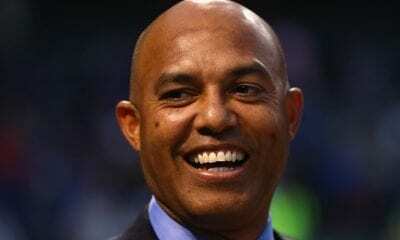 And all of these make Hines Ward, Hines Ward. Although some argued Hines Ward had a dirty style of play, his work ethic was never questioned, and he was loved by those loyal to the black and yellow. After Ward decided to leave the gridiron and his devastating blocks behind, he took up broadcasting and even had a special role in the 2018 Winter Olympics back in his country of birth. When it comes to European-born hockey stars, there are few who shine brighter and have accomplished as much as Nicklas Lidstrom, a defenseman from Sweden. 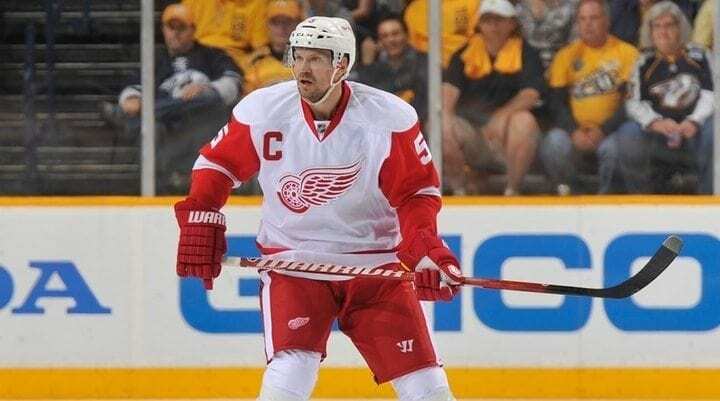 Lidstrom played from 1987-2012 as a member of the Detroit Red Wings and helped give Hockey Town the legacy it has today. Lidstrom won four titles, appeared in 12 All-Star games and helped his native Sweden clinch the gold medal in the 2006 Winter Olympics. Lidstrom also has the distinction of being the first European-born captain to lead his team to a Stanley Cup Finals championship. Much to the dismay of Patriots fans worldwide, Michael Strahan was a New York Giant his entire career, and that includes the time when Strahan and his unrelenting defense upset the previously undefeated New England Patriots and their quest for a perfect season in Super Bowl XLII. 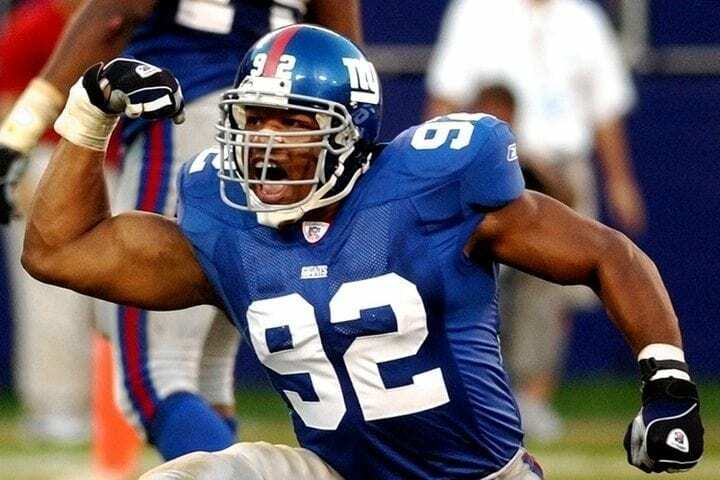 Besides tormenting Tom Brady and the Pats to win a Super Bowl, Strahan proved to be one of the league’s most disruptive pass-rushers for his entire career as a Giant, earning seven Pro Bowls, leading the NFL in sacks twice and winning the Defensive Player of the Year in 2001. Strahan still holds the NFL record for sacks in a single season. Fans of the Big Blue definitely miss his goofy smile and menacing pass-rushing skills. Kevin McHale is arguable the GSMOAT, or in layman’s terms, the Greatest Sixth-Man of All Time. While playing for the Celtics in the ’80s, McHale became a 3x NBA Champion, 7x All-Star, 2x Sixth Man of the Year, and defensive beast. When it came to rough, gritty and often violent matchups that characterized the NBA of the 80s, you won’t be hard pressed to find McHale in the middle of it all. Eventually Kevin retired from basketball and took up managerial roles, and in 1999 was elected into the Naismith Basketball Hall of Fame. Before he was the golden voice of CBS Sports color commentary, Dan Fouts was the bearded quarterback for the San Diego Chargers (RIP, San Diego part). During Fouts’s 15-year career at quarterback, he led the NFL in passing four times, was a 6x Pro Bowler and 2x first-team All-Pro. 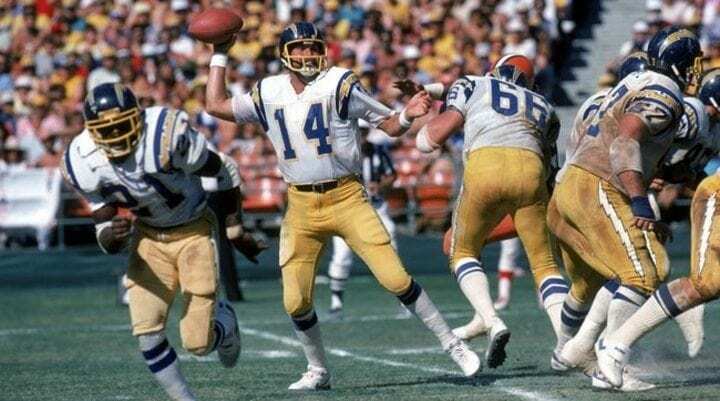 Fouts also consistently led the Chargers to the playoffs, albeit without any Super Bowl appearances. Although the Chargers are no longer in San Diego, Fouts will forever be a part of their legacy, as he and his beard are enshrined in the Pro Football Hall of Fame. The greatest backstop in baseball history doesn’t belong to a fence, it belongs to a bench, one Johnny Lee Bench. The Cincinnati Reds catcher is widely considered to be the best catcher in baseball history, and for good reason. He gobbled up wild pitches better than Joey Chestnut gobbles up Nathan’s hot dogs… and he eats a lot of hot dogs. Throughout his notable career, Bench played in 14 All-Star games, won two World Series, earned 10 Gold Glove awards, and wasn’t too shabby at the plate either. He twice led the National League in home runs and was the National League RBI leader three times. 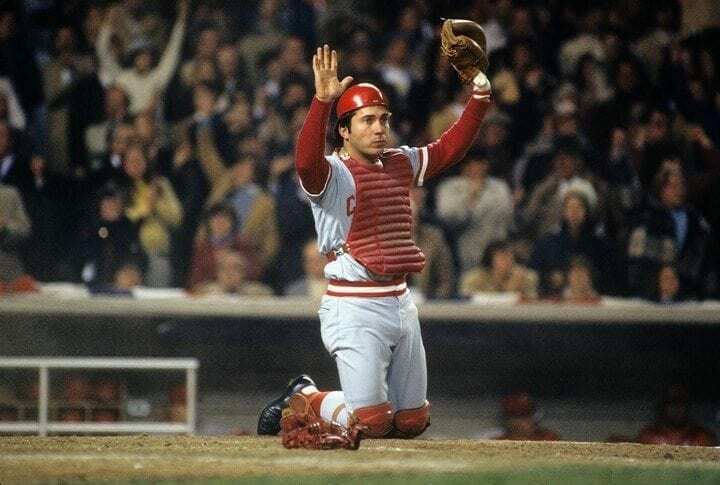 Safe to say Johnny Bench was a complete player, on both sides of the ball. Oh, what could have been. When you think of Detroit Lions running back Barry Sanders, a few things come to mine. Dominance. Elusiveness. Quickness. Vision. And early retirement. That last one may still haunt Lions fans to this day. Sadly for shifty Sanders, he was never able to lead his Lions to a championship. The lack of a title, however, doesn’t diminish the amazing accomplishments of this former Oklahoma State star running back. 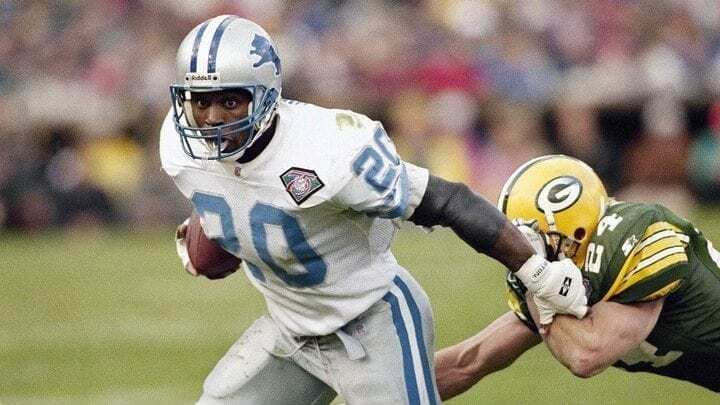 While in the NFL, Sanders was nominated for the Pro Bowl in each of the seasons he played, won the 1997 NFL MVP and became a 4x rushing leader and 6x first-team All-Pro. Sadly, as Sanders found himself within striking distance of the NFL’s rushing record, he decided to abruptly retire and never played another down in the NFL. Simply put, Steve Yzerman was a dominant force for the Detroit Red Wings for over two decades. How his knees did it remains a mystery to most of us. 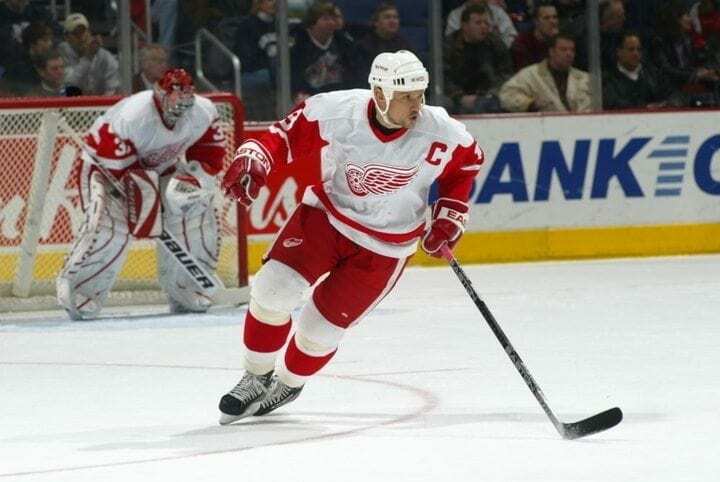 During his time playing for the Red Wings, Yzerman collected three Stanley Cup championships, 10 All-Star appearances, and is the seventh leading scorer in NHL history. While representing Team Canada in international play, Yzerman and his Canadian squad won the gold medal in the 2002 Winter Olympics in Salt Lake City, Utah. After his retirement, Yzerman’s winning tendencies didn’t miss a beat, as he won another Stanley Cup championship, this time as the VP of operations for the Red Wings. Yzerman currently serves as the General Manager of the Tampa Bay Lightning. 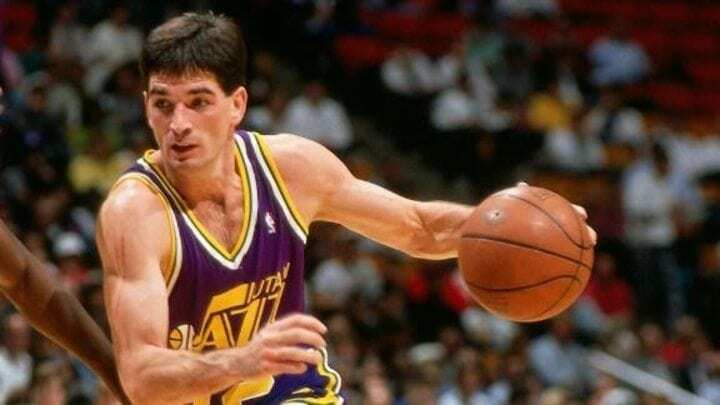 Another incredibly loyal player to sadly never win a championship is Utah Jazz’s John Stockton. Even though he never hoisted the precious Larry O’Brien Trophy, Stockton had a profound impact on the game of basketball. To this day he holds NBA records for steals and assists, both of which seem to be his for the foreseeable future. While on the Jazz, Stockton played in 10 All-Star games and led the Jazz -alongside Karl Malone- to 19 consecutive playoff appearances, including two back-to-back Finals appearances. Sadly for Jazz fans, they lost both to Michael Jordan’s Chicago Bulls. Shout out Short Shorts Stockton. If you watched the Ravens play from 1996 through 2007, you couldn’t miss Jonathan Ogden. Standing at 6’9” and 345 lb, Ogden was a giant anchoring his team’s offensive line. Before winning a Super Bowl with the Ravens and appearing in 11 Pro Bowls, Ogden was a Rose Bowl Champion and All-American football player and track and field star at UCLA. When the Ravens took the field at Super Bowl XLVII, Ogden was named honorary captain by his former team, a fitting title for the man that captained the Ravens’ offensive line for 12 years. Jerry West. He’s Iconic, literally. He is the symbol for the NBA. 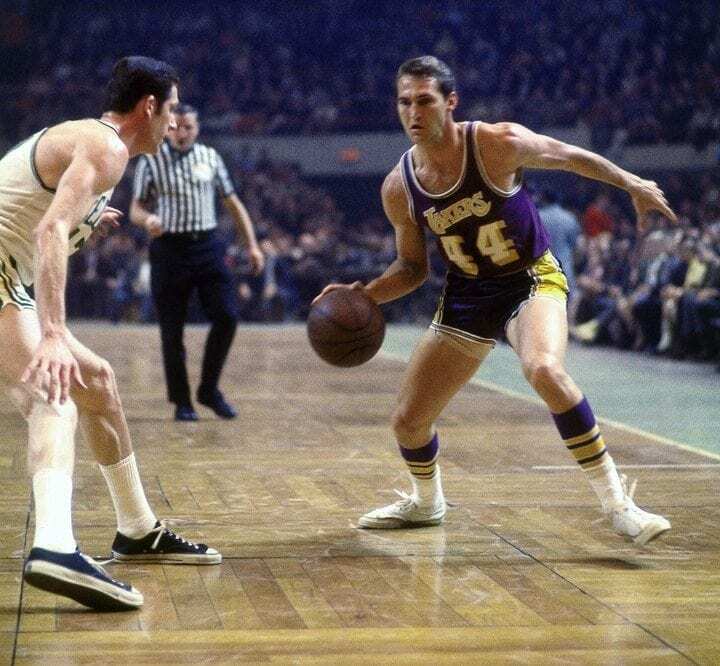 But before becoming the logo for the greatest basketball league on the planet, Jerry West was an elite point guard/shooting guard hybrid for the Los Angeles Lakers. Drafted number two overall in the 1960 NBA draft, Jerry made an immediate impact on the Lakers. He won a championship in 1972 and holds the distinct, potentially dubious, honor of being the only player from the losing team to be awarded Finals MVP. Although Jerry only won one championship as a player, he has guided eight teams to the promised land as an executive, most recently with the Golden State Warriors. The Cleveland Browns don’t have much to be proud of, but they do have Jim Brown. Before joining the Browns as the 6th overall pick in the 1957 NFL Draft, Brown was a standout athlete at Syracuse, playing football, lacrosse, basketball and track. 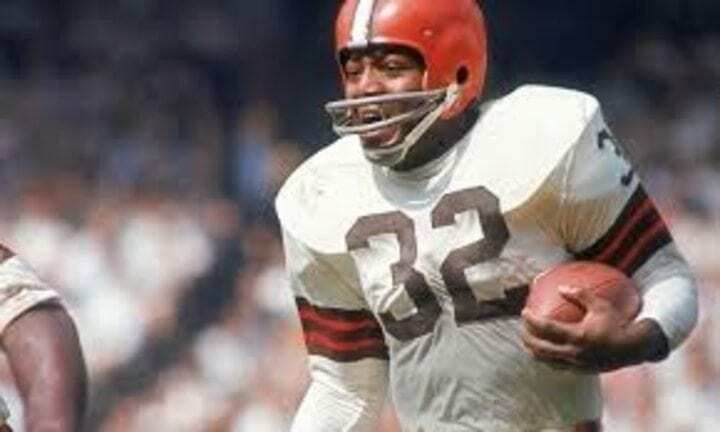 During his tenure with the Browns, Brown won an NFL Championship (pre-Super Bowl), made the Pro Bowl nine times and became the only running back in history to average over 100 yards per game for his career. Deservedly so, Brown has both his collegiate and professional jersey numbers retired and holds a spot in the Pro Football Hall of Fame. Rumor has it Cleveland is still waiting for their next transcendent player. 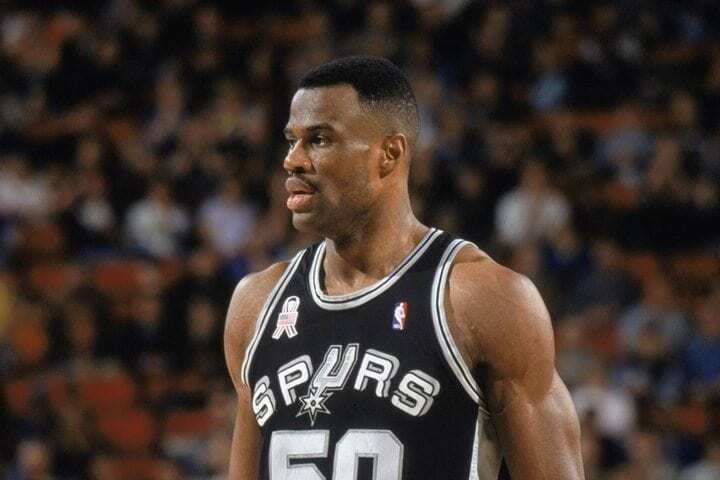 Before Tim Duncan took over as the face of basketball in San Antonio, the Spurs had some guy you may have heard of: David Robinson. Considered the greatest basketball player to graduate from the US Naval Academy, The Admiral was an essential member of the Spurs’ late ’90s and early 2000s teams, and alongside Tim Duncan, created their dynamic duo, the Twin Towers. He became a 2x NBA champion, 1995 NBA MVP, 10x All-Star and 3x Olympic Medalist (two golds). And Robinson was no one trick pony either. En route to the 1994 scoring champion where he edged out the Orlando Magic’s Shaquille O’Neal, Robinson dropped 71 points on the LA Clippers to ensure the hardware would be his. Super Mario, The Magnificent One or, for our Francophones, Le Magnifique. 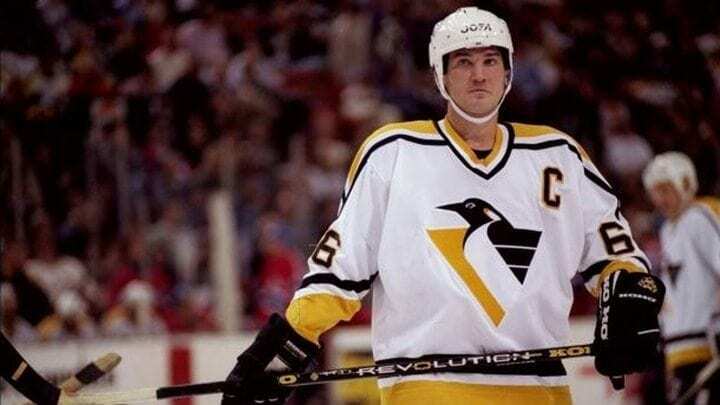 Whatever you want to call him, Mario Lemieux of the Pittsburgh Penguins is a winner, both on the ice and off of it. During his playing career, Mario led the Penguins to consecutive Stanley Cup Finals championships, won an Olympic gold medal in 2002, an amassed three NHL MVP awards, despite suffering from chronic, debilitating injuries. After Lemieux decided to switch his skates for dress shoes, he purchased the Penguins and, as owner, led them to three more Stanley Cup victories. He is the only player to have his name on Lord Stanley’s cup as both a player and owner. Do you remember when Reggie Miller, one of the NBA’s most prolific three-point shooters, scored eight points in nine seconds against the New York Knicks? Chances are you do, unless you’re a Knicks fan that has blocked it out of your memory. 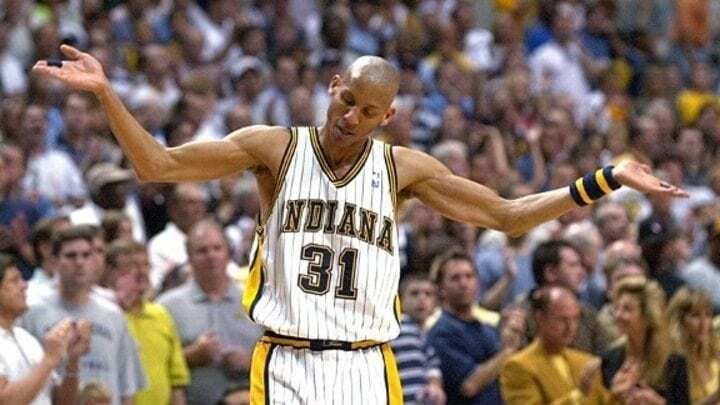 But besides that legendry 9 second performance, Reggie Miller played all 18 years of his NBA career as an Indiana Pacer, where he became a 5x All-Star, had his number retired, and won a gold medal during the 1996 Olympics. Thankfully for the Knicks, Miller called it quits in 2005 and has been announcing NBA games on TNT since. 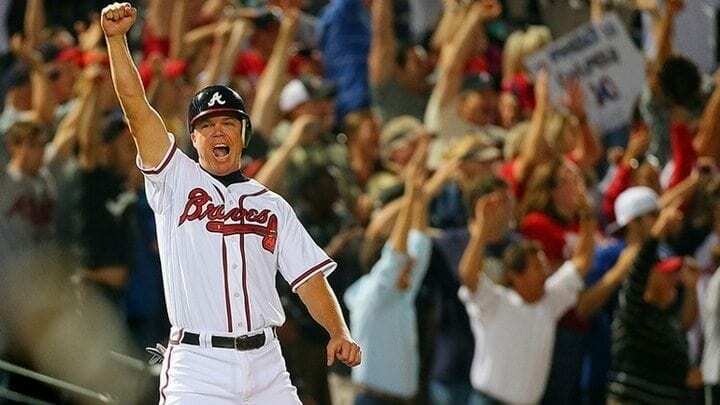 Chipper Jones was a cornerstone of the Atlanta Braves for 19 seasons, anchoring the hot corner while becoming one of baseball’s best switch hitters. During his tenure, Jones made eight All-Star appearances, won one World Series, was the 1999 NL MVP, became a batting champion and earned a spot in Cooperstown (home to baseball’s hall of fame). Despite not winning another title, Jones is a fan favorite and had his number retired by the Braves. Since his retirement he’s taken up deer hunting. Rumor has it he’s pretty good at that too. Being a player on the Miami Dolphins is pretty hard today. Being a fan is even harder. Yet for Dan Marino, there was nothing that could stop him from playing his whole professional career as a member of the Fins. 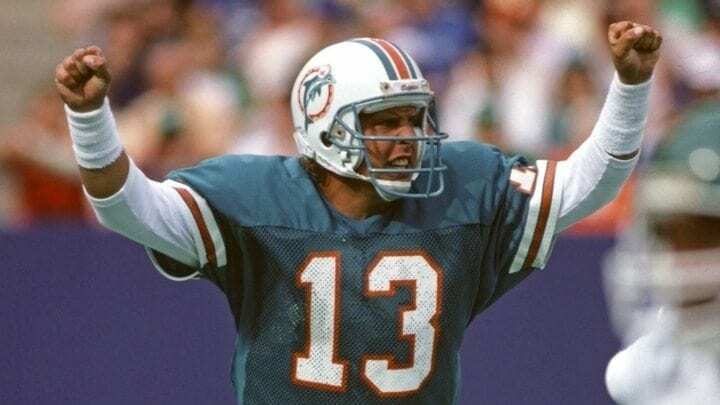 Widely considered one of the best quarterbacks of all time, Dolphin Dan was drafted in the first round out of the University of Pittsburgh in 1983. During his 17 NFL seasons, Marino earned himself nine Pro Bowls, an MVP award, Offensive Player of the Year, 5x NFL passing yards leader, and tens of other records, many of which still stand today. Although he never brought the Lombardi trophy to South Beach, Marino’s loyalty for the club never wavered and he finished his career right where it started- as a member of the Dolphins. Where to begin with an athlete as dominant and decorated as Bill Russell? Maybe his 11 NBA championships, five MVP awards, 12 All-Star appearances, and one of only a few players ever to win an NCAA Championship (he won two for good measure), NBA Finals and Olympic gold medal. Russell’s on-court dominance is mirrored by his off-court achievements, including having the NBA Finals MVP trophy renamed the Bill Russell NBA Finals MVP Award and being awarded a Presidential Medal of Freedom by President Obama in 2011. As far as sports icons go, Russell sits comfortably atop, and his unquestionable loyalty to Boston, a city that was decidedly racist during his playing-time, shows just how dedicated a player and Celtic he really was. Larry Legend did it all for the Celtics of the 80s. His gritty play and smooth jumper earned him three MVP awards, three championships, 12 All-Star appearances and one Olympic gold medal hanging around his neck. Besides his numerous accolades, Larry represented Boston sports and became something of a godlike figure to diehard Celtics fans everywhere. He was a clutch performer, master trash-talker, wasn’t afraid to throw down and loved winning. Bird’s iconic No. 33 was retired by the Celtics and his legacy will forever live on in the Garden’s lore. If you can manage to play 16 years in the NFL, you should be considered a legend for that fact alone. Now add in some iconic Super Bowl plays, The Drive, two Super Bowl victories, one MVP trophy and nine Pro Bowls and you get John Elway. Although John doesn’t have a perfect Super Bowl record, he did bring relevancy to the Orange Crush and helped them even after retirement by guiding them as General Manager to a Super Bowl 50 championship. 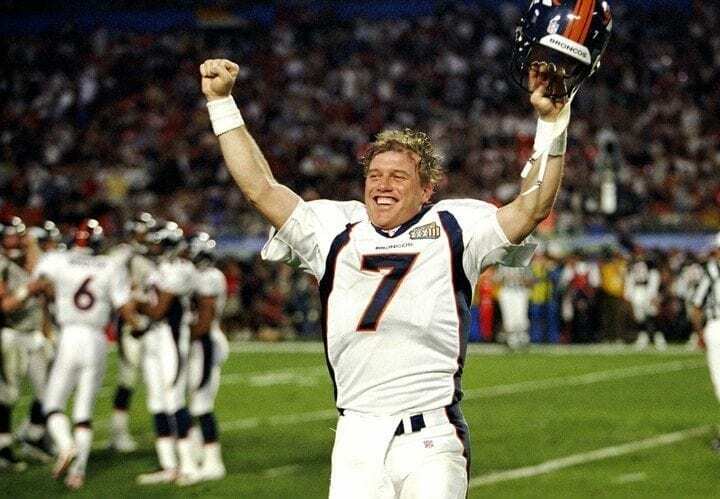 Now go on YouTube and check out John Elway becoming a human helicopter taking flight during Super Bowl XXXII. When fans heard that song, they knew it was closing time. That meant the unstoppable Mariano Rivera was coming in to save the game, and more often than not that’s exactly what he did. 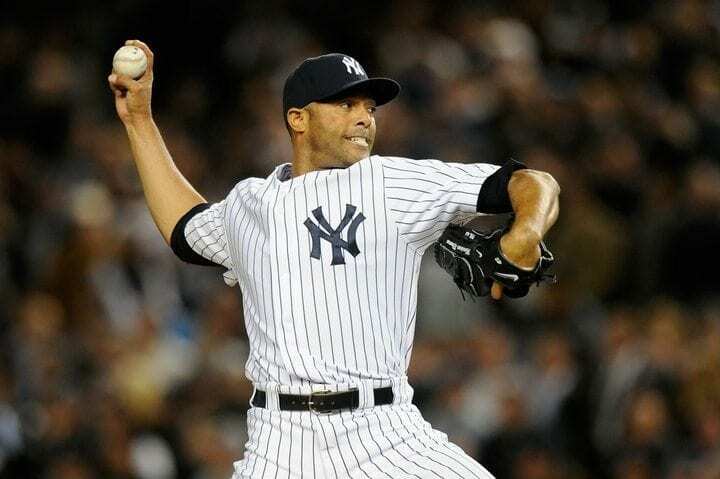 A 13x All-Star and 5x World Series champion, Mo is considered the greatest relief pitch in MLB history and holds the record for most career saves. He is also the last baseball player to don the No. 42, after the MLB decided to retire it across all teams in honor of the late Jackie Robinson. Aside from the black mark that came from blowing the save to the Diamondbacks in Game Seven of the 2001 World Series, Mo was one of the most dominant and feared pitchers to take the mound until his retirement in 2013. The Big Fundamental was a beast in the paint for the Spurs for 19 years. 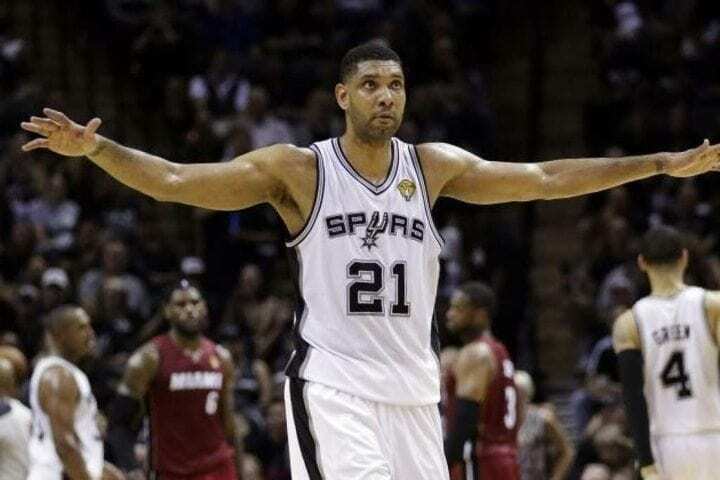 15 All-Star games, five NBA championships, a jersey retirement and a calmer demeanor than a sloth, Duncan embodied the Spurs organization like no one else. He wasn’t the type of player to shatter backboards or swat the ball into the fifth row; Duncan was a meticulous player who loved the backboard and blocked shots with a finesse. Fortunately for us fans, Duncan chose basketball over swimming, where he was considered a US Virgin Island prodigy. Now batting, the captain, number 2, Derek Jeter. 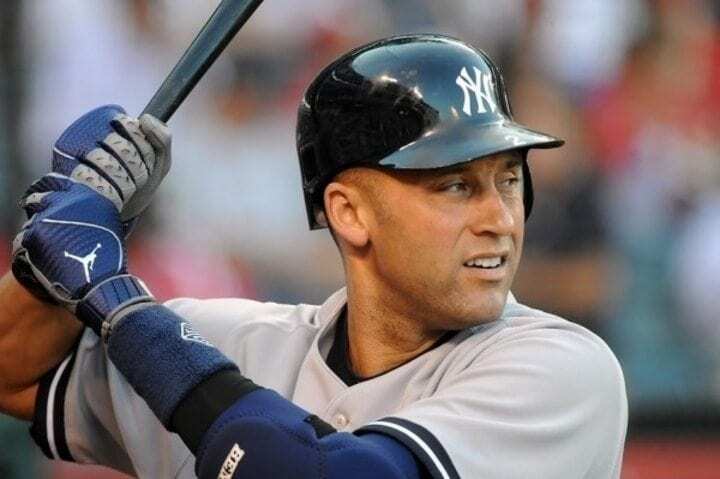 Derek Jeter was the epitome of Yankees baseball during the ’90s and 2000s, winning five World Series, appearing in 14 All-Star games, and earning five Silver Slugger and Gold Glove awards. When it came time for Jeter to hang up his signature Jordan-brand Jeter cleats, there were few shortstops in the game to ever play it better. His number would eventually be retired by the Yankees, and he left baseball as the all-time leader in hits for a shortstop. 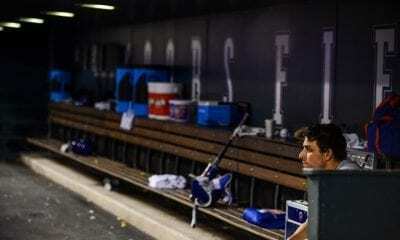 Currently, Jeter is an owner of the Miami Marlins, and only time will tell how his managerial endeavors end up. So far, so bad. 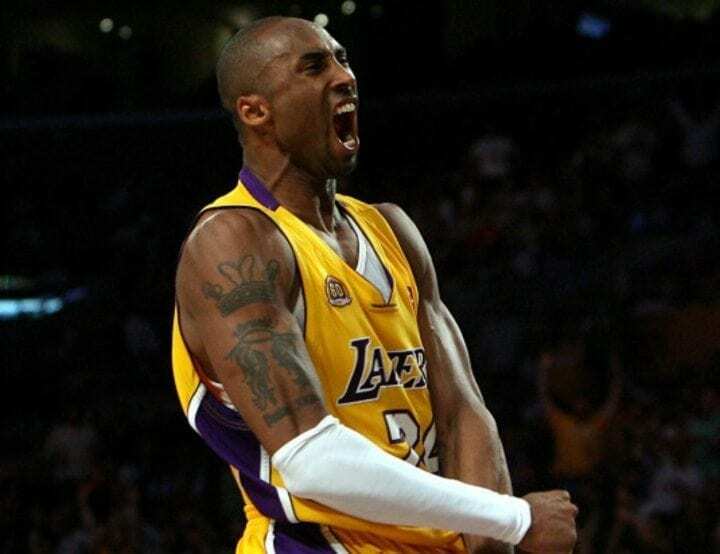 Drafted out of high school, Kobe Bean Bryant is one of the greatest success stories in NBA history, and all of his achievements came as a member of the Los Angeles Lakers. Despite numerous injuries and some jarring controversies (both on and off the court), Bryant managed to win – among a myriad of other awards – five championships, amass 18 All-Star appearances and get a signature sneaker line from Nike that remains incredibly popular in the NBA even today. Bryant’s storied career is so legendary that Los Angeles retired both of his No. 8 and No. 24 jersey. Rumor has it that the Black Mamba bleeds purple and gold, and he wouldn’t have it any other way.